The city, recognized as the most livable city three years running by the Chinese Academy of Social Sciences, aims to boost new sectors — including a new generation of intelligent technology, new energy and high-end equipment manufacturing. According to Huang, the city's GDP reached 1.14 trillion yuan ($170.2 billion) last year, ranking 14th nationwide, with a per-capita GDP of 174,300 yuan, the second-highest in China. The city invested 2.85 percent of its GDP in research and development last year, with R&D expenses by enterprises taking up 1.73 percent of sales revenue, topping the whole province. 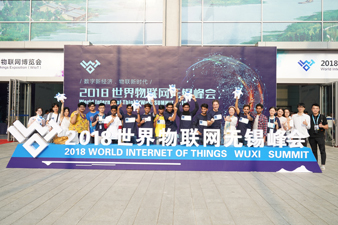 Wuxi boasts the only demonstration zone for sensor networks in China, the mayor told China Daily, adding the city has held the World Internet of Things Expo for three consecutive years and is accelerating the construction of an IoT technology innovation zone. The city has more than 2,000 IoT-related enterprises with operating revenues reaching 263.9 billion yuan last year, an increase of 23.7 percent and taking up nearly half of the province's revenue. "Innovation remains the major driving force of high-quality development in Wuxi," the mayor said, adding the city will keep promoting the construction of key innovative platforms, including the national IoT innovation center, a high-performance computing center and a deep sea equipment laboratory. 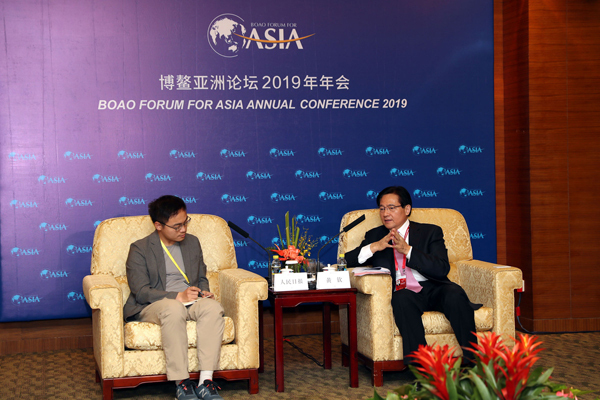 High-end international innovation centers, R&D centers of multinationals and international scientific organizations are welcome in Wuxi, Huang said. "Local enterprises are encouraged to cooperate with overseas R&D institutions and promote regional innovation capabilities." The Belt and Road Initiative, a high-priority endeavor for Wuxi, has brought great opportunity to this city. Wuxi enterprises invested in 1,073 overseas projects by the end of 2018, with agreed investment amounting to $11.6 billion. A total of 302 projects were agreed with Belt and Road countries, with investment reaching $1.97 billion. "Wuxi will fully implement the Foreign Investment Law that was approved on March 15, and further promote foreign investment in the city as well as high-quality development of the city's economy," the mayor said. Wuxi has approved operations for more than 14,000 foreign enterprises since reform and opening-up began 40 years ago, with registered capital of $109.5 billion in agreement. A total of 101 Fortune 500 companies set up 197 enterprises in the city. Thirty-two multinationals located their headquarters and functional departments in Wuxi, while seven foreign banks own branches there. Foreign enterprises account for less than 4 percent of total enterprises in Wuxi, but contribute around 40 percent of industrial output value, over 60 percent of import and export value and one-third of the city's foreign taxation last year. To realize the city's vision in leading high-technology and innovation sectors, Wuxi introduced 117,000 high-level talents, 12,000 overseas returnees and 310,000 high-skilled talents to the city, the mayor added.